In March I posted an Interactive Map of Worst Banks in the U.S. by Texas Ratio, Non-Performing Assets, and Total Capital. 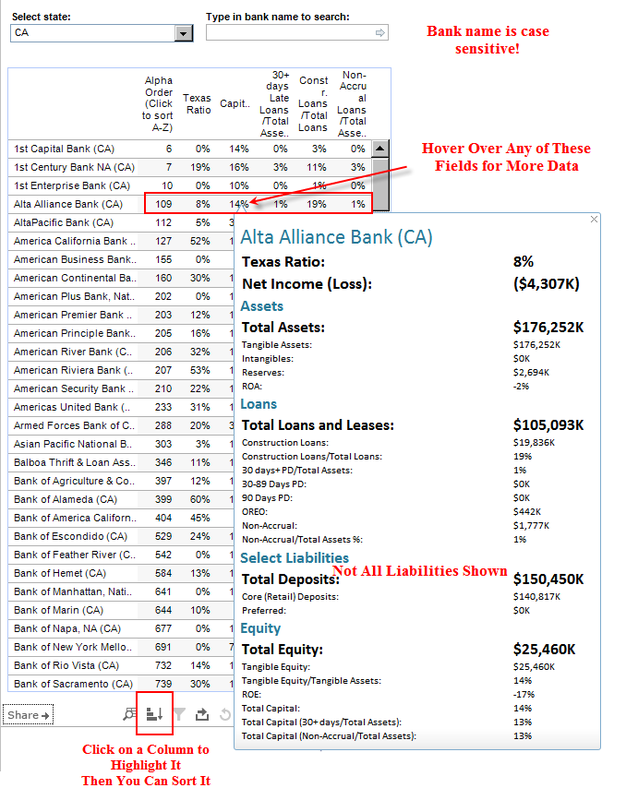 Today I have data for every bank in the report, over 7,500 banks. 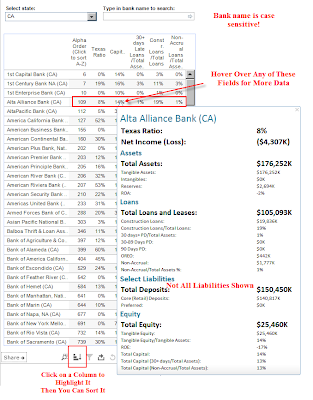 There are so many banks in the list, an interactive map is not possible. This display contains a lot of data and it may take extra time to load. Please be patient. It takes an extra 3-5 seconds on my computer. Your results may vary. If you have an inadequate memory, the display may be slow or inoperable. Thanks to Ellie Fields and Ross Perez at Tableau Software for help with the display! I can refresh the data every quarter. First quarter 2010 will be out in a month or so. The above data is from the fourth quarter of 2009. For an interactive map of the worst banks in the country, please click on the first link.